It’s the start of earnings season in the window and door industry, with the very largest companies, usually traded on the stock markets, begin to announce their 2018 full year results. Safestyle have announced theirs, which I will cover in another post this week, as have Deceuninck and Epwin. I shall be covering them all in the coming days. 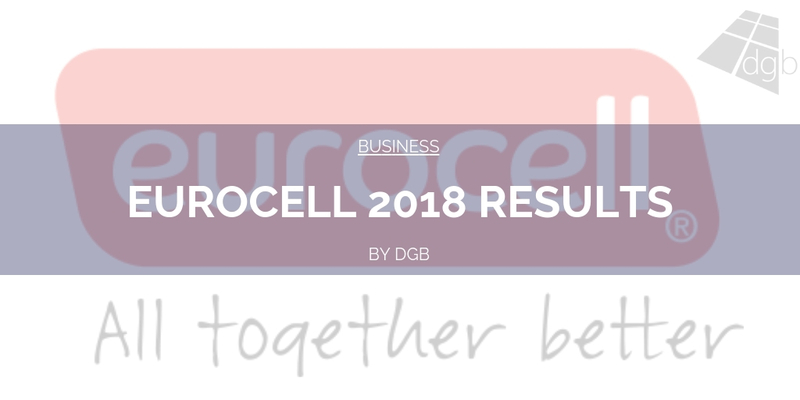 For now, we focus on the results of Eurocell, which on the whole are pretty positive, despite a number of factors in 2018 which could have easily made for a much worse year. All in all a pretty good performance for Eurocell if you look at it across the group. Like for like sales in profiles and building plastics all up. I think the more impressive stats here are the organic sales, many of which are in the double-digits. A 13% jump in revenues is a major move. Especially in a year that was beginning to look paralysed by Brexit, politics, global stock market volatility and the end of an economic cycle. As you see, EBITDA is the smudge on the report. This is down to increased input costs and the costs of opening 39 new branches. They created a drag. They also made two acquisitions, Ecoplas in August and Kent Building Plastics in December which will have also had an impact. Generally speaking though, given the overall activity of the business in 2018, a 4% drop in EBITDA isn’t anything to panic about. In 2019 they plan £15m in capex (capital expenditure) to grow the business further. This includes 8 new extrusion lines, new branches, upgrades to IT and increased recycling levels. This is a big increase from the £8.7m spent in 2018, which demonstrates the company’s intention to cement their market share and grow it even further, as others around them find differing fortunes. We might see another dip in EBITDA next year, but if the company remains profitable, revenues grow and dividends rise as they did this year, then it’s investment very much worth it in the long run. 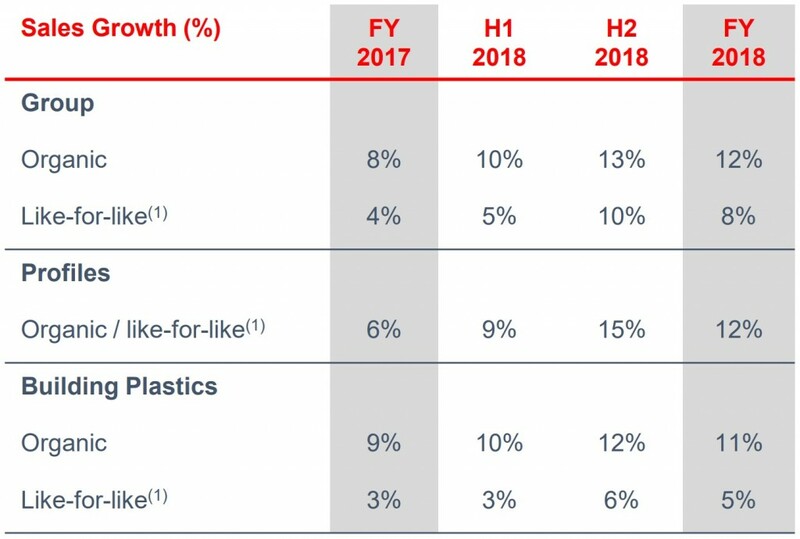 They note that they expect the use of recycled materials to increase by around 3kt in 2019. They are going to spend £4m to increase capacity at their two cites to help facilitate that increase. They know that sustainability is and will become one of the key issues our industry faces, which means demand for recycled material is only going to rise. If they want to do this well they know that they need the infrastructure to be able to do so. 2019 is going to be a big year for recycling overall, so keep an eye out for how the industry adapts to this over the next 9 months. In the report, there are a couple of statements which do stand out for me other than stats. There is significant uncertainty over the impact of Brexit, be it related to general macroeconomic factors or specific company risks. At Eurocell we have taken a number of steps to protect the business from potential negative effects. In this context, it is worth noting that almost all of our sales are to UK-based customers and that we expect the vast majority of our workforce will have the right to remain and work in the UK post Brexit. However, some of our key raw materials do originate from Europe, so any disruption in supplies could impact our manufacturing operations. With that in mind, we have now concluded a 6-month PVC resin supply agreement for the period to 31 July 2019, to support continuity of supply for our most critical raw material. In addition, whilst we have only limited capacity to hold excess raw material stocks at our own sites, some of our suppliers have agreed to hold additional inventory on our behalf. We also began a finished stock build towards the end of last year, and have locked in electricity prices for the next 12 months at current market rates. More generally, we refinanced our bank facilities in December, securing additional funding at competitive rates, and have taken out selective credit insurance for large customer accounts. Therefore, whilst we are not able to predict the impact of Brexit on our business, we have taken sensible steps to help mitigate known risks. In short, they, like everyone, do not know what is going to happen. So they have done what they can in holding as much stock as they can and made sure their resin supply is secured. They have basically given themselves a business MOT to make sure they’re in the best shape possible to combat whatever actually happens. All in all though, this is the only big mention of Brexit in the whole report, which tells me the company is just trying to get their heads down and work. It serves them no purpose, which is the same for all of us, to be swept up in the chaos that is Parliament right now. Best thing all businesses can do is to get on getting on. We completed two acquisitions in 2018 for total initial consideration of approximately £8 million. Ecoplas is described above. We also acquired Kent Building Plastics in December. Kent Building Plastics is a building plastics distributor with 4 branches in the important south-west region. The integration of both businesses is progressing to plan. We will continue to assess and consider bolt-on acquisition opportunities in the markets in which we operate. Our primary focus is on businesses that add value through geographical or range extension, operational efficiencies, complementary products or to satisfy a make or buy decision. They will be on the lookout for companies to buy throughout the year. They seem in better financial health than some others to be able to do so. 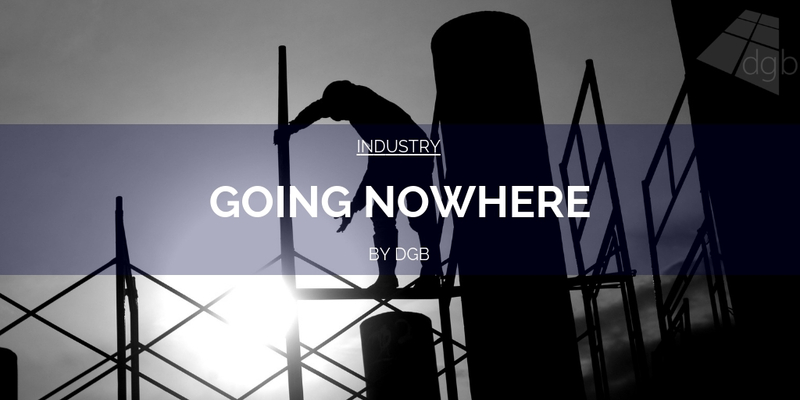 Expect further acquisitions to be around the recycling and trade counter type businesses. All in all this is a pretty good report from what was actually a fairly garbage year. They have done well to increase market share, remain profitable, acquire businesses and keep a positive outlook for 2019. It’s worth noting that when I was sent their details I was informed that the company is right on track for their 2019 performance so far. I will be covering the 2018 results from Safestyle, Epwin Group and Deceuninck later on this week.